Stratasys is heping Latécoère with the deployment of additive manufacturing in the rapid prototyping and tooling production for aerospace systems. French aircraft design and manufacturing group, Latécoère, is deploying Stratasys FDM additive manufacturing throughout its design and production process, accelerating the development process and improving business performance. 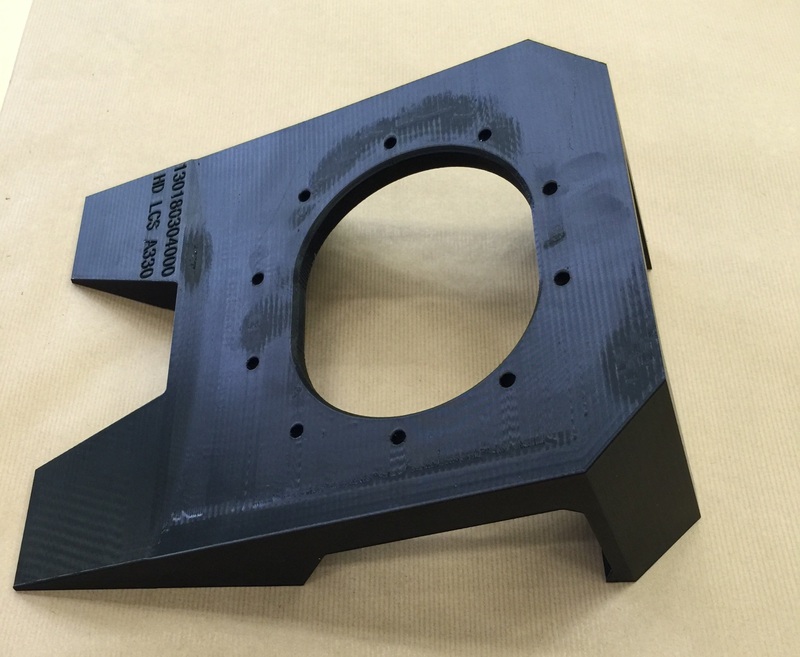 Faced with lengthy lead-times and costly design iterations, Latécoère – which services aerospace giants including Airbus, Bombardier and Dassault – is using its Stratasys Fortus 450mc Production 3D Printer for both rapid prototyping and production tooling. According to Simon Rieu, Composite and Additive Manufacturing Manager at Latécoère’s R&D and Innovation Centre, the adoption of this technology has been transformational for both design and manufacturing. Latécoère recently 3D printed a prototype camera case for the Airbus A380 aircraft for design validation with the camera’s internal parts housed inside. Prior to Stratasys FDM 3D additive manufacturing, the team would have been forced to directly manufacture an aluminium camera case for testing, with any design iterations proving costly. Using ULTEM 9085 material, the 3D printed prototype is also 50% lighter than its metal counterpart, enabling more efficient functional part testing. The company is also using its Fortus 450mc 3D Printer for the on-demand manufacture of custom production tools. This has not only seen significant reductions in time and cost, but also enhanced operator efficiency. Looking ahead, Latécoère’s long-term strategy is to 3D print final production parts for next generation aeroplanes from the likes of Airbus, Boeing and other manufacturers. Indeed, the company has already begun exploring the potential to use its Fortus 450mc to produce final interior aircraft parts with certification in mind. Using Stratasys’ tough, lightweight and FST compliant ULTEM 9085 material, the team has 3D printed various air duct housing components, which has seen significant weight reductions and time savings compared to traditional production methods.